The annual jamboree that is America's most prestigious Festival, the Breeders Cup, took place this year at Del Mar racetrack, where "the turf meets the surf". 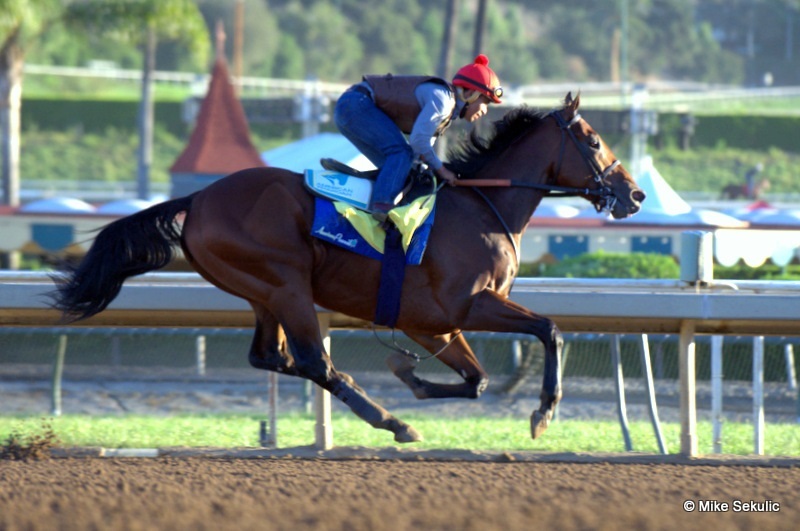 Situated in the seaside town of Del Mar, California, the track is just a stone's throw from the sea and is second only in size to the nearby Santa Anita track in the western U.S. The Championships attract a large cast of foreign horses, but the races are fiercely contested by the local runners who perhaps have the advantage of being more accustomed to racing on dirt. On Friday 3rd of November, the first day of racing the Juvenile Turf for 2yo colts and geldings was won by Mendelssohn, trainer A. P. O'Brien and ridden by Ryan Moore. On Saturday 4th of November, the Qatar Juvenile Turf Sprint Stakes (Listed Race) (2yo) (Turf) was won by Declarationofpeace, trainer A. P. O'Brien and ridden by Ryan Moore. The Breeders' Cup Filly & Mare Turf (Grade 1) (3yo+ Fillies & Mares) (Turf) was won by Wuheida, trainer C. Appleby and ridden by William Buick. The Longines Breeders' Cup Turf (Grade 1) (3yo+) (Turf) was won by Talismanic, trainer A. Fabre and ridden by Mickael Barzalona. 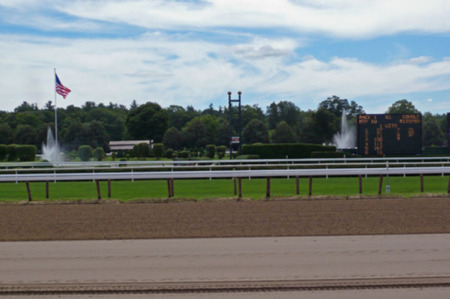 Many American racetracks offer much more than just horse racing - from slots to lottery tickets. There are many lotteries in the U.S. but if you are away from home at the races you can get your tickets online. For example True Flip is the international anonymous blockchain lottery which is similar to Powerball but with 1.3 times more chances to win. The 2014 Breeders Cup meeting is staged at Santa Anita - the Turf Sprint is won 99% of the time by a horse that has experience (usually a stakes win) over the downhill turf course at Santa Anita. Bettors in the States are seldom familiar with horses shipping from overseas. Handicappers in England, Ireland and Europe likely don’t racing in America and may see the Breeders’ Cup at Churchill Downs and other stakes races as a difficult bet. Similar to a game of King of the Mountain, the top thoroughbreds are constantly shifting in and out of favor, which is dependant on their latest performance on the track. Over the next few months, Iron Maidens Thoroughbreds will provide information on the top runners headed to the Breeders’ Cup. We will also provide tips on how to read various US racing forms and how to interpret the data so handicappers can make educated bets on racing in the US.